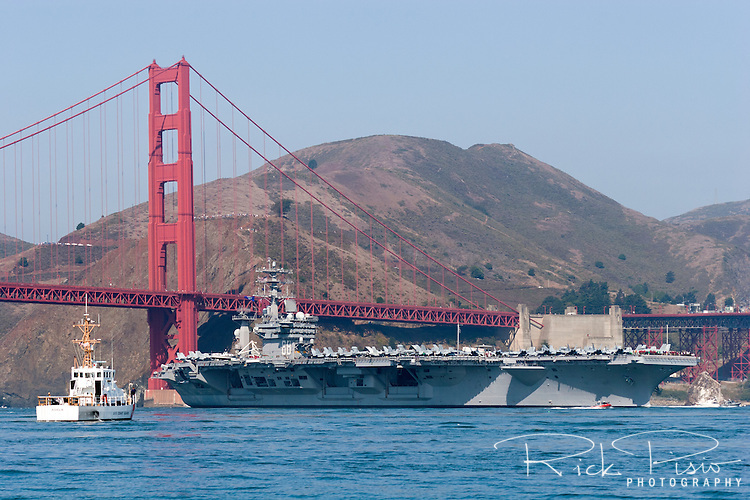 When I lived in SF (in North Beach) way back in the 80s, I looked out at the bay one day and saw a carrier coming in under the bridge, almost exactly like that photo. Of course...compared to that photo, the aircraft were updated, and of course so was the ship. It was accompanied by tugs spraying water into the air. But it was huge. What a sight. Aircraft lined the flight deck. From my angle you looked down about 45 degrees on the flight deck. I can't find a photo that matches that angle. This story doesn't connect to anything in this thread, really, it just reminded me. Since the sight was both completely unexpected (I just happened to turn my head and look and there it was), and very impressive, it is one of my major "oh wow, look!" moments. Edited 2 time(s). Last edit at 04/10/2019 09:58PM by zn.